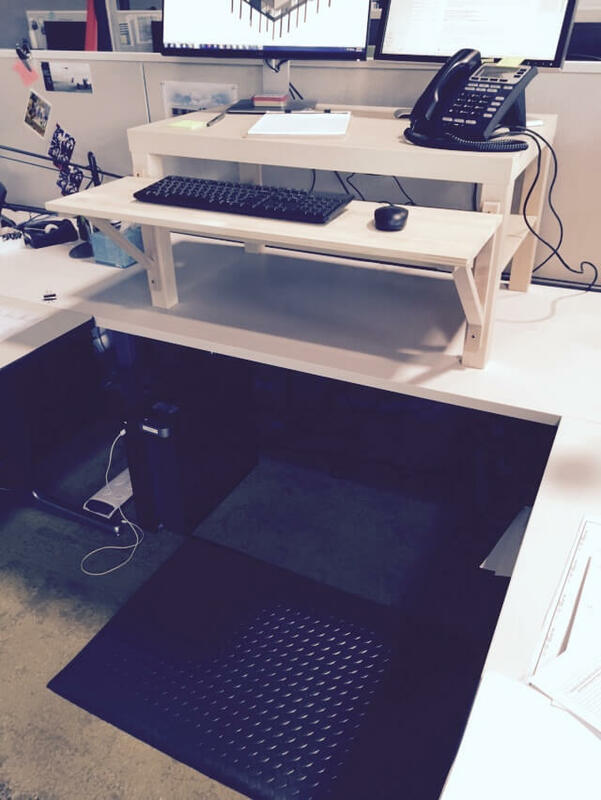 Ready to jump on the standing desk bandwagon but don’t want to pay an arm and a leg? (at least either of the ones you’ll be standing on)? 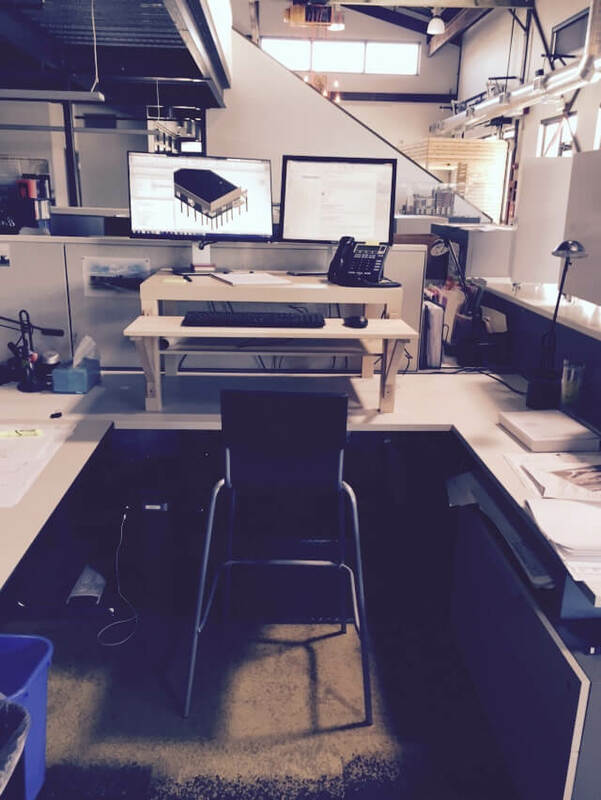 Using some simple off the shelf IKEA products, I built this standing desk IKEA hack for about $85 ALL IN. If you’ve seen other desk building instructions around, the main advantage of this desk is that it’s built for 2 monitors, and if I may say so, is pleasant to look at given how easy it was to put together. (2) EKBY VALTER brackets: $4.00 ea. **also bring your EKBY HEMNES shelf with you to Home Depot and they will cut it to the width of the LACK coffee table for free (or really cheap). 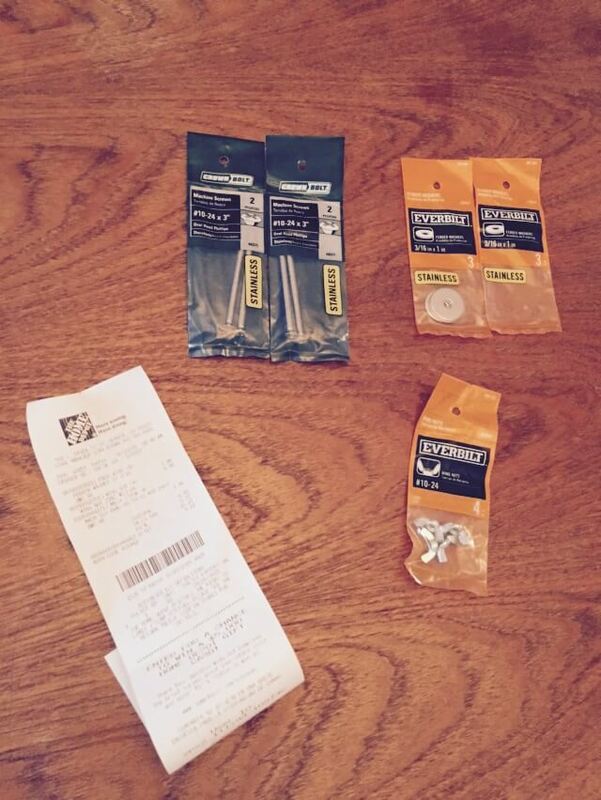 Follow all of the IKEA assembly instructions; not rocket science but this sometimes takes longer than you think. The shelf brackets mount to the coffee table legs. 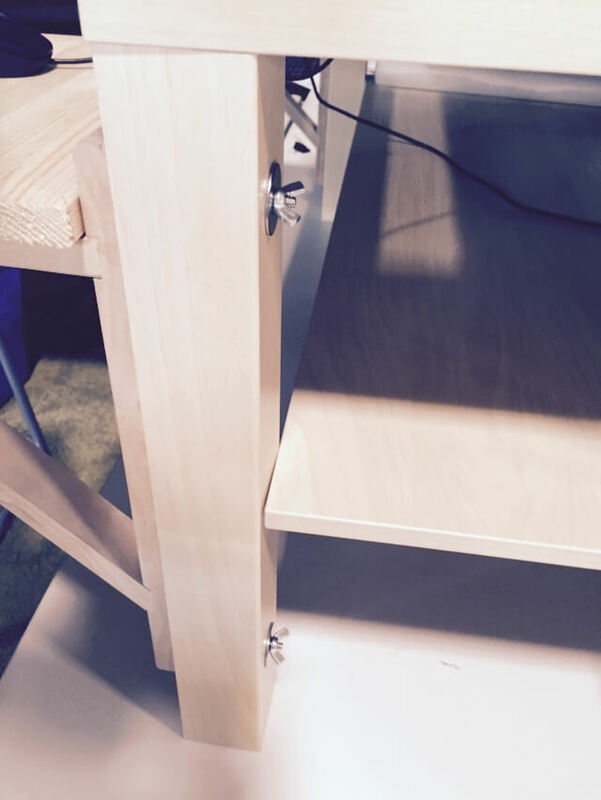 Put the coffee table on your normal sitting desk surface and mark drill hole locations needed for when the shelf is at your standing elbow height. It’s generally recommended that your elbows are at 90 degrees when working at a keyboard. Drill completely through the legs; remember these legs are hollow and require the drill to be held at a right angle so you can get a clean hole on both sides. I don’t remember exactly the size of the bit needed, but if you go a little bit wider than the #10 machine screw you should be fine since we have the washer to keep the nut from pulling through. Finally just put all the pieces together. I wish there were more steps, but it’s as easy as that.